British Airways parent company finally got back into the black in 2013, presumably benefitting from an increasingly favorable global economy. They certainly were not benefitting by their own policies as I unfortunately found out recently. I’m writing this post in the hopes of gaining an explanation for why BA would behave so stupidly. 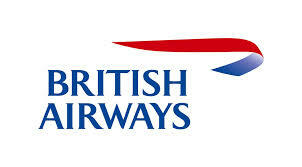 A few months ago I purchased tickets from BA that were basically two round trips (one inside the other). The BA website priced them for me at the lowest available fare that included the normal fare restrictions around changing the tickets or getting a refund (changes would incur a fee and there were no refunds – got it). The disclosure on their site was minimal and there was no obvious way to buy a less restricted fare. I knew at the time I might not take the middle round trip but I wanted to lock in the tickets. And that’s where it all fell apart. “No no,” I was told. That’s a “change” to your itinerary and to do that I’d need to pay a large change fee for the privilege of not taking the flight. What?!? I’m not changing any flights – I’m giving them back something of value. And as it turns out that flight is nearly sold out – they have a small number of tickets left for a 1-way fare of US$ 200. They need the ticket and will likely resell it and I don’t want it. But no. BA insists that not taking a flight is a “change” and my only choice is to pay or show up (if I don’t they’ll cancel the remainder of the itinerary). This is completely crazy to me. British Airways has a simple and easy opportunity to both make more money and make a customer happy (not to mention make things a whole lot easier for me). Instead they’ve decided to make less money and completely alienate a heretofore happy customer (and you can be sure that if they don’t change their view on this, this will be my last BA flight). Not to mention that I’m not “changing” a flight or trying to rebook a ticket (which would clearly trip the change clause). I’m keeping every flight the same – just giving them back one leg of the trip. Make more money and have a happy customer; make less money and lose a customer for life. That’s a difficult one. The supervisor I talked with kept telling me that it “wouldn’t be fair” to other customers who had paid a higher ticket price. He also (quite rudely) kept telling me that I had such a low fare that I shouldn’t expect anything different (lowest fare or not, the ticket certainly wasn’t cheap). And remember that the BA website didn’t give me an option of buying any other fare for these flights (I tried that again today to the same result – they show only the lowest fare available and there’s no opportunity to pay more for a more flexible ticket – at least not an obvious way). This makes absolutely no sense to me. Maybe you can help me understand the logic.